Chickasha, Oklahoma has received national acclaim for its annual Festival of Light celebration. The Festival of Light begins on the evening before Thanksgiving and runs through New Years Eve. In 2010 the Festival of Light celebrates 17 years of sharing Chickasha’s special brand of joy. 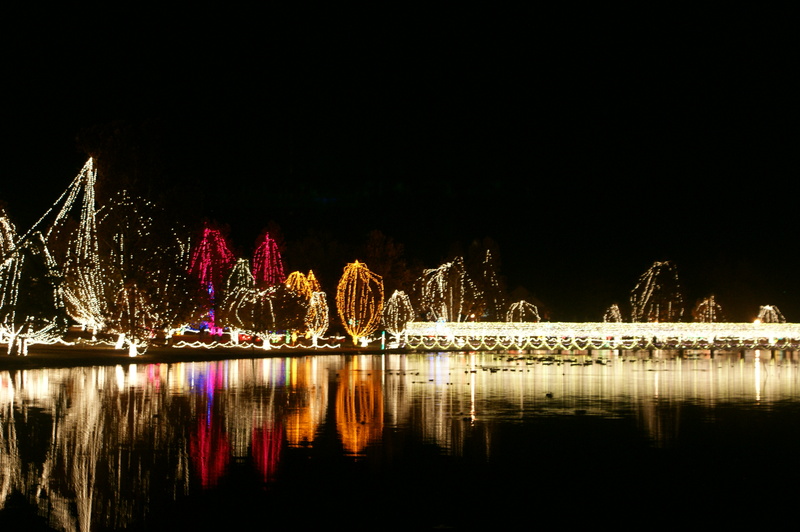 It’s a spectacular display of millions of Christmas lights surrounding the lake in Shannon Springs Park. You can find more information about the Chickasha Festival of Light at www.chickashafestivaloflight.com including directions, information on restaurants, cafes, and places to eat, local hotel accomodations, and bus tour availability. This video was taken on Thanksgiving Day during the Festival of Light. The musical arrangements are the work of Kevin McLeod and available on his website at www.incompetech.com. See theFOL Photo Slide Show Here.